Home / Magento / Web-Design-Development / Website Design / Website Development / Wordpress / WordPress Vs Magento – Which CMS Is Better for Your Business? There are so many e-commerce sites and if you have worked a little bit closer with one of them, and then you must know the hardship of building a store. This very hardship that comes from the e-commerce stores gets intensified when the question of platform arises. You must know that handling business isn’t easy and when it comes to the point of building an e-commerce site, it tends to get complex. This very business gets more complicated when the comparison of platforms comes through, which is namely, WordPress and Magento. If you are thinking that you can have any one of these for your business, you must know that Magento is entirely for e-commerce and helps in the user experience of the online stores. Where WordPress is a normal and regular CMS, but it also can be extended with its plugins and it can be used for the sake of the management system of e-commerce as well. Thus, you know that both these platforms can be used for business but if you know how to choose the one for your business, it will store as your profit. Here we have covered the details about Magento and WordPress. · The first thing is Magento is solely dedicated to serving online stores, while WordPress cannot do the task when prompted, although, it can be done by the plugins. 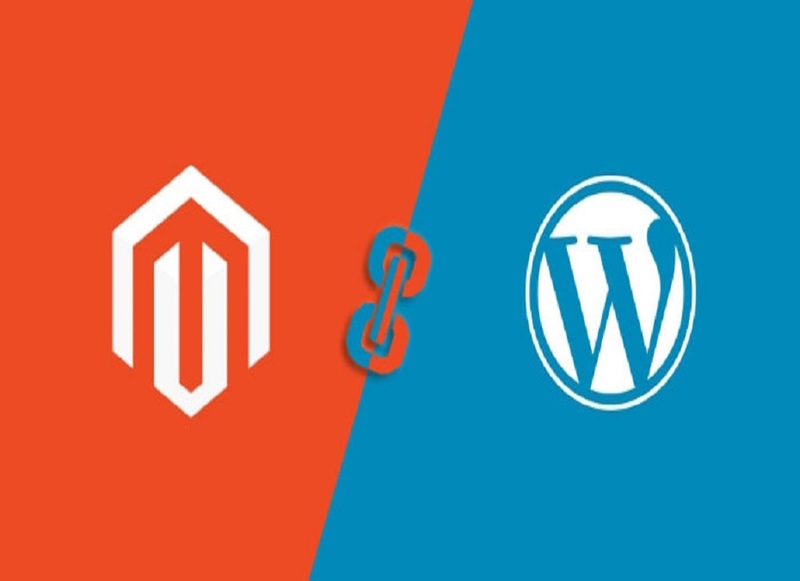 · Magento and WordPress both can support order history, blog posts, shopping carts, site pages, and products, but in this case, WordPress requires plugins for e-commerce and Magento needs the same for blogging. · Magento is more mature than WordPress, as it is highly developer friendly, but it also works on the enterprise level. · WordPress is more flexible for learning and for new ideas, as it contributes to the creation and helps the newcomers in the best way possible. · If you are concerned about the extensibility of these platforms, then you must know that both these are built on REST APIs, and this allows you to build a third party application with the full support of the platforms for your business. · If your concern is only business and sales then Magento is perfect for you, on the other hand, if you are looking for digital publishing and content marketing then you must go with WordPress. · You can manage cloud hosting with Magento on the e-commerce level, while you can also manage the cloud hosting with Wordpress Development, and you can have the self-hosted route as well. Thus, now you know which platform is best for your business. If you are looking for the comparison then you will get both of this platform useful thus, you can imply the suitable one based on your requirements and each one will provide you the best service at the same time.